If there was one place in London that was close to heaven, this was it. Elizabeth Bennet looked around her with delight. She had heard so much about the Temple of the Muses, the famed book emporium owned by Messrs Lackington Allan and Co, but she had never imagined that she would one day be able to see it for herself. From its multiple storeys and impressive 140-foot frontage on Finsbury Square to its high domed roof and enormous main hall—large enough, it was rumoured, to drive a coach and six around—the place certainly lived up to its claim as the biggest bookstore in London. And from the looks of things, the busiest too. Mr Lackington’s slogan of “cheapest bookseller in the world” and his pledge to keep his prices low ensured a steady stream of customers through his doors, keen to browse the huge variety of books in store. And now, standing at the entrance to the main hall, Elizabeth drew a breath of awe as she scanned the vast room. There was a huge, circular counter in the centre of the shop, from which several clerks were assisting customers with their purchases, and all around the walls were shelves of books, stretching from floor to ceiling. Long, rickety ladders leaned against the bookcases to aid in the retrieval of volumes from the higher shelves and, on the opposite wall, sunlight streamed in through the tall French windows, catching dust motes dancing in the air. On the far side of the room was a set of stairs leading up to the “lounging rooms” and then a series of galleries filled with more bookshelves. Elizabeth wondered if she could ever explore the entire store, even if she had days at her disposal! A slight movement at her elbow made her realise that she was blocking the entrance and holding up the line of impatient customers behind her. “I beg your pardon,” she murmured, moving out of the way as several gentlemen jostled past her. They strode into the store with the easy confidence of long familiarity and she thought enviously of those who lived in London and had easy access to such an establishment as this, to treat it with such casual indifference! Not that she would really wish to reside permanently in town. She would miss her long rambles and the beauties of the Hertfordshire countryside. No, she was more than happy in her little home village of Meryton, although on occasions when she visited establishments such as this, she could not help a wistful longing for all the attractions that London had to offer. But I am fortunate that I am able to come and stay in London to enjoy its attractions for a while, she reminded herself. Indeed, they were extremely indebted to her Aunt and Uncle Gardiner for their generosity in inviting her entire family to come and stay at the Gardiners’ modest home in Cheapside for as long as they wished. It had been a particularly long, hard winter in Hertfordshire and the early departure of the militia to other parts of the country—and the loss of the society of the officers—had brought a mood of melancholy to the neighbourhood. The younger Bennett girls had been delighted with the invitation from their aunt and uncle—they were keen to shake the mud of Hertfordshire off their skirts—and Mrs Bennet had also jumped at the opportunity. But Mr Bennet had not been so enamoured of the idea: his great love was the peace and solitude of his library. He had stayed only a few days before returning to Longbourn, leaving his wife and daughters to the pleasures of the capital. As for Elizabeth herself, she was pleased to come to town—if only to provide some distraction for her elder sister, Jane. It had pained her to see her beloved sister in such low spirits since Mr Bingley left Netherfield Park a month ago. The young gentleman had been a welcome addition to Meryton society and they had all been eagerly waiting for him to give a ball, as he had promised. 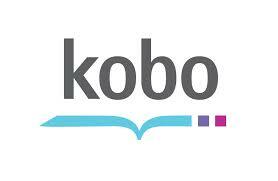 Instead, however, he had quit the neighbourhood without warning. Jane’s tender hopes—nursed by Bingley’s particular attentions to her—had been cruelly crushed by his hasty departure and the lack of contact since. So Elizabeth was hopeful that a change of scene might help to heal her sister’s wounded heart. Coming out of her reverie, Elizabeth stepped into the main hall and walked slowly towards the nearest shelves. She reached up to run her fingers reverently along the spines of the leather-bound volumes, inhaling deeply of the rich aroma of paper and calfskin. There is no smell as wonderful as that of a book, she thought. Her gaze strayed upwards and she spied a volume on a higher shelf which looked particularly intriguing. Stretching up on tiptoe, she attempted to pull it out, but her fingers could not quite reach their target. Elizabeth spun around and found herself face to face with a tall gentleman. “Mr Darcy!” she said in surprise. Clad in an elegant coat of dark blue superfine, with his long legs encased in pale buckskin breeches and gleaming Hessian boots, Darcy cut a fine figure. Though he was not as fashionably dressed as many of the other gentlemen in the room, he easily overshadowed them all—just as he had done when he had accompanied his friend, Bingley, to the society events in Hertfordshire. His handsome face was as austere as Elizabeth remembered from their meetings there, though she fancied she saw a warmth in his eyes as he looked down at her. Darcy made her a slight bow, then reached up and extracted the volume from the shelf, handing the book to her. “I had not realised that you were in town, Miss Bennet,” said Darcy. “Yes, my aunt and uncle have invited us to come and stay with them for a while at their home in Cheapside,” she said, darting an impudent look at him and wondering if he would recoil from the mention of such a lowly address. “That is a cynical view for so young a lady,” observed Darcy. “Indeed, I do not dare,” said Darcy, with a teasing smile. She looked at him in surprise. When he smiled like that, with a twinkle lighting up his dark eyes, he seemed almost a different person. For a moment, Elizabeth felt a tug of liking for him. Then she pushed the feeling aside as she reminded herself of Darcy’s arrogant behaviour back in Hertfordshire and his haughty manners—not to mention the way he had snubbed her the first time they met at the assembly ball in Meryton. “It has been a delight to meet you again, Miss Bennet, and to have had the pleasure of your lively discourse,” said Darcy, still smiling. He bowed, then turned and strode away. Elizabeth stared after him for a moment. She was surprised to find that her heart rate was slightly unsteady and she wondered why this should be the case. Surely she did not find the company of Mr Darcy exciting! With great resolve, she put the gentleman from her mind and turned back to the shelves in front of her. The time flew by. Elizabeth had spent almost an hour in the store, browsing the many shelves and selecting a few volumes to purchase, when she glanced up guiltily at the clock on the wall. Heavens! Was that the time? She had to leave directly, else her aunt would become worried. She had already been out all morning. After accompanying her mother and younger sisters, Kitty and Lydia, for a morning of shopping in Bond Street, Elizabeth had persuaded them to return to the Gardiners’ without her. She had been desperate to visit the Temple of the Muses and had insisted that there could be no harm in her taking a hackney coach back by herself. However, she knew that had her aunt been one of the party, she would not have been allowed to come unchaperoned—for her aunt had stricter notions of propriety than her mother. Mrs Gardiner would certainly be fretting now and Elizabeth did not want to cause her aunt any more distress than necessary. So, in spite of the temptation of the many shelves still unexplored, Elizabeth tore herself away and carried her selection to the circular counter in the centre of the room. As she waited patiently behind two fashionably dressed young ladies, she observed that they were purchasing a bundle of sheet music. She thought suddenly of her sister, Mary, who had remained at the Gardiners’ residence today with Jane. Mary was the only other member of the family who shared her great love of books and Elizabeth wondered if her sombre sister would show one of her rare smiles when she saw the delights on display here. I must endeavour to find an opportunity to bring Mary back, she decided, as the two young ladies departed and she stepped up to the counter to take her turn. She was assisted in her purchases by a thin-faced young man with wire-rimmed spectacles and a grave expression. His gentlemanly clothes and general demeanour marked him out as senior to the other shop assistants and she wondered if he might be one of Mr Lackington’s younger partners. He examined each of her choices with a critical eye before carefully wrapping them in brown paper. His formal manners gave him the air of someone much older than his years, but when he finally looked up at her, Elizabeth saw that his eyes were bright with enthusiasm. “I hope you enjoy your purchases,” he said. Elizabeth returned his smile, pleased to find a fellow book lover who understood her feelings. She bade him goodbye, then gathered her purchases and made her way back out to the street. As she stepped out of the front doors, she noticed that a light rain had begun to fall. Clutching her bundles to her chest with one hand and picking up her skirts with the other, Elizabeth hurried to cross the street, keen to reach the hackney coach stand on the other side. But she had barely stepped into the road when a sudden shove sent her reeling. Something—somebody—yanked at her reticule. She tried to hold on but it was torn from her grasp. She lost her balance and cried out, dropping all her parcels and tumbling backwards into the road. Elizabeth hit the ground with a jolt which knocked the breath from her body. She lay stunned for a moment, then looked around in fear. She was in the middle of the road and vulnerable to any carriage that might pass. She heard the sound of hoof beats approaching and felt a surge of panic. Suddenly, strong arms grasped her and helped her to her feet. A tall, male body shielded her from the oncoming carriage as she was gently ushered back to the side of the road. Her heart still racing from the recent shock, Elizabeth took a deep breath to calm herself. Elizabeth realised that the gentleman supporting her was Mr Darcy. She flushed as she also realised that he had one arm around her waist, the other holding her hand. Slowly, he released her as she stepped away from him. “Only my reticule, but I did not have much money left in it,” Elizabeth assured him. She had regained her composure now and was able to give him a weak smile as she dusted herself off, then began retrieving her parcels. Darcy stepped forwards to help her, and together they collected the scattered parcels from the road. By this time, the rain had begun to fall in earnest and Elizabeth was dismayed to see that several of the packages had been torn open and one in particular had fallen into a puddle. It was now soaked and the book was damaged beyond repair. “Perhaps you would like to return to the store to purchase another?” asked Darcy. Elizabeth hesitated again. The last person she wanted to accept a ride from was Mr Darcy. On the other hand, the rain was getting stronger by the minute and she did not fancy the prospect of standing in the wet, clutching her many purchases and waiting for a hackney to become available. She could see the coach stand beyond Darcy’s shoulder and there was already a considerable queue waiting, with no carriage in sight. As was often the case, once the rain started, all available means of transport seemed to disappear! “’Tis no trouble at all,” said Darcy smoothly, putting a gentle hand under her elbow and guiding her towards the side of the square. “Oh…” Elizabeth said as they arrived next to the vehicle and Darcy held his hand out to help her up. She was dismayed to see that there was no tiger perched at the back. “Is something the matter?” asked Darcy. “No… That is, I had not expected you to be driving it yourself,” said Elizabeth lamely. She did not add that the prospect of being alone with him in the vehicle made her heart beat unaccountably fast. She had expected there to be a groom or some other servant to chaperone them. She cleared her throat. “Would it… would it not seem improper for us to be driving together without a chaperone…?” she trailed off. Elizabeth flushed. He was right—her concerns did appear hypocritical given her usual independence. It was really the thought of being alone with Darcy that unsettled her. She had never really spent any amount of time alone with him. Even during her stay at Netherfield Park when Jane had taken ill—though there had been the occasional half hour when they had been alone together in the library or drawing room—she had never really felt the intimacy of it, for there were others in the house ready to join them at a moment’s notice. Now, however, although they were on the streets of London surrounded by the public, it felt as if they were much more alone. His words made sense and Elizabeth was also conscious of the fact that they were standing in the rain, getting wetter by the second. She felt foolish prevaricating further. She took his hand and mounted the steps to seat herself in the curricle, looking away as he climbed in after her and settled himself beside her. Darcy raised the hood, so that they were well shielded from the rain, then picked up the reins and set the horses in motion. The pair of beautifully matched bays twitched their ears and tossed their manes as they broke into a sedate trot. The rhythmic sound of the horses’ hooves against the cobblestones was soothing and Elizabeth slowly began to relax. She leaned back against the deep leather seat and thought wryly to herself that she had never experienced such a luxurious mode of travel! How her younger sisters would exclaim with envy if they could see her now. She could not help still being conscious of the intimacy of the situation, however—sitting as she was, so close to Darcy, in the confines of the small carriage. She was very conscious of the warmth emanating from his body and the way their shoulders touched slightly. The rain fell steadily around them with a soft murmur, forming a silvery curtain that seemed to envelope them in a cocoon, blocking out the rest of the world and heightening the sense of intimacy even further. Elizabeth thought that Darcy would attempt some conversation but the gentleman seemed content to drive in a complete silence. She watched as he handled the reins superbly, guiding horses through the rain-slicked cobbled streets. At length, she felt compelled to make some remark. “Did you find what you were searching for in the store?” she ventured to ask. They lapsed into silence, broken only by the soft hiss of the rain around them and the steady clop-clop-clop of the horses’ hooves. Finally, Elizabeth—slightly ashamed of her rudeness earlier—felt compelled to make another attempt at conversation. She asked Darcy if he intended to stay in London for the season. “She is lucky to have such a considerate brother,” said Elizabeth. She wondered if Darcy would tell his friend of their meeting and longed to ask him if Bingley was aware of Jane’s presence in town, but she did not dare. She doubted that Bingley knew, for Jane had been afraid of writing to Caroline Bingley to inform her of their arrival in London. Her sister had feared that Bingley might think that she was pursuing him to the capital. While Elizabeth did not think Bingley would harbour such sentiments, nevertheless, she was not sorry that Jane was not renewing her acquaintance with Caroline Bingley. Bingley’s sisters were nothing like him—they were proud, vain women who had made it obvious that they considered Hertfordshire society beneath their consequence. Their false attentions to Jane had not impressed Elizabeth at all. Still, she did wish that there was an opportunity to inform Bingley of Jane’s presence. What would he think, she wondered, if he knew that Jane was now being courted by another? 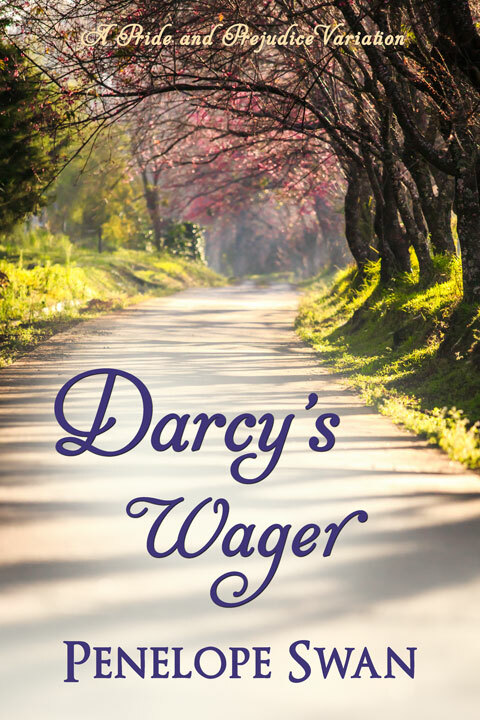 Darcy pulled back gently on the reins and brought the horses to a halt. Elizabeth came out of her thoughts to discover that they were outside her uncle’s address in Gracechurch Street. She was surprised by a flicker of disappointment now that the ride was over. Distracted by her strange feelings, she barely paid heed as Darcy helped her down from the carriage and escorted her to the front door. Elizabeth stood on the front step as the curricle moved away. She knew she should go in, but in spite of the heavy rain, she remained where she was, watching Darcy’s carriage until it disappeared into the distance. Elizabeth had barely taken a few steps into the foyer when her aunt hurried to meet her. “What happened to you, Lizzy?” asked Jane from the parlour doorway where the rest of the Bennet girls had congregated. “Mr Darcy!” said Mrs Bennet in surprise. She saw a shadow pass Jane’s face at the mention of Bingley’s name and realised that her sister’s feelings for that young gentleman were still strong. They had not spoken of him in recent weeks and she had thought that—with the Viscount’s recent attentions—perhaps Jane might have forgotten Bingley and transferred her affections elsewhere. Perhaps not. Elizabeth followed her sisters back into the parlour and sank down gratefully in the armchair beside the crackling fire. She stretched her hands out towards the warmth, feeling the welcome heat envelope her. Her damp gown was clinging unpleasantly to her legs. She should have really gone and changed, but she knew from Jane’s anxious eyes that her sister was keen to hear more of her encounter with Mr Darcy—and even more so, any further mention of Mr Bingley. In brief terms, she described her visit to the bookstore and what had led to her accepting Mr Darcy’s offer of a ride. The others listened with rapt attention, exclaiming over her brush with the London criminal class. Kitty and Lydia sighed with envy at the thought of riding in such a handsome curricle, whilst Mary worried about the damage to the books that had been dropped. Jane remained very quiet and Elizabeth glanced at her uneasily. She knew her sister’s spirits had been low, despite the many distractions that London offered, and she was afraid that this new mention of Bingley would sink Jane further into the doldrums. “Has Viscount Ramsey called today?” she asked, changing the conversation. Kitty and Lydia giggled. Jane coloured, but did not say anything. Elizabeth eyed her sister thoughtfully. Viscount Ramsey had spied Jane during a promenade in Hyde Park and had been so captivated by her beauty that he had sought an instant introduction. Mrs Bennet had been aflutter at the prospect of attentions from such a prestigious young gentleman. After the disappointment from Bingley’s lack of proposal, she was delighted at the second chance of a good match for Jane. Jane herself was much more circumspect, although her reserved manner seemed only to inflame the young Viscount’s passion. He had pursued her relentlessly, sending gifts of flowers and the finest Belgian chocolates, in spite of Jane not favouring him with any encouragement. He had contrived to meet them at social events—a rare feat given that the Gardiners moved in very different circles to those of the upper gentry. Indeed, his desire to see more of Jane had led to them receiving invitations to events which would otherwise have been outside their aunt and uncle’s circle of influence. Such as Lady Malvern’s ball tomorrow evening. “A turban, Mama?” Elizabeth looked at her mother askance. “Certainly, if you wish,” said Mrs Gardiner with a smile. “But are you not fatigued from your morning’s shopping? The two older ladies duly left on their errand and Elizabeth excused herself to change into dry clothes. On returning to the drawing room, she was surprised to see Jane facing Lydia, who stood with her face flushed, her expression defiant. “It is only a small amount!” protested Lydia. “I cannot understand why you are making such a hum about it! “Aye, it is the most handsome bonnet and it would be positively unjust if Lydia does not get it!” agreed Kitty. Elizabeth resisted the urge to roll her eyes. This was the third time already during their stay in London that Lydia had applied to Jane for her generosity. And each time, her gentle older sister had always relented. She hoped that Jane would stand firm this time. Jane hesitated and Elizabeth stepped in. “It does not signify,” said Lydia hastily. “’Twas merely a bit of fun I indulged in at Mrs Hopkins’s party and I had not realised that the losses would be so high. I am sorry. Truly, I am!” She turned a pleading face to her eldest sister. “I am.” Jane gave her an uncharacteristically stern look. “Do you give your word?” asked Elizabeth. Lydia’s bottom lip jutted out. “Yes,” she said reluctantly. Turning, she stormed out of the room, followed quickly by Kitty. Elizabeth eyed her youngest sister’s departure with apprehension and longed to discuss it further with Jane, but with Mary still in the room, she did not feel it right to speak about Lydia. That night, however, in the bedchamber she shared with Jane, she confessed her worries. “But I thought she was spending most of her time with a Miss Amelia Green, who is from a most respectable family” said Elizabeth. Darcy leaned back against the padded backrest of the bergere armchair and watched his sister idly as she sat at the pianoforte. The rippling notes of the Mozart concerto flowed over him and he allowed himself be carried away by the dreamy music, as his thoughts drifted back to the events of yesterday. The last thing he had expected when he visited the Temple of the Muses was to encounter Elizabeth Bennet. And even more unexpected was the surge of delight he had experienced upon seeing her. Though, if truth be told, she had never been far from his thoughts since he left Hertfordshire. He did not know what had come over him: when they had first met at the Meryton assembly, he had scarcely allowed her to be pretty—indeed, he had looked at her without admiration at the ball and roundly refused to dance with her. When they had next met, he had looked upon her to only to criticise and found to his surprise that he was captivated by the beautiful expression in her dark eyes. To these attractions, he soon began to notice many more: her face, though not that of a conventional beauty, held a warmth and animation which rendered her very attractive; her figure was light and pleasing and her playful manner most entrancing. What was more, she seemed completely unaware of his interest in her. He was used to women vying for his attention—impressed by his wealth and consequence—and making no secret of their desire to be chosen as Mrs Darcy. Conversely, Elizabeth Bennett treated him with no deference or partiality and her indifference provoked him to find out more about her. He soon found himself longing to meet her and hoping that she would be at the next social function, anticipating the pleasure of seeing her, even if it was only from across the room. In his quest to spend more time in her company, Darcy had even cast aside his usual abhorrence of dancing and considered asking Elizabeth to stand up with him, so that he might enjoy a private moment with her. He had attempted the request once, at the Lucases’ evening party, but she had playfully refused him and all the flattery and persuasion from Sir William had not been able to induce her to accept his invitation. He had hoped to have the chance to repeat the invitation at the Netherfield ball which Bingley had talked of giving—but alas, his friend had left for London suddenly and his sisters had contrived to keep him in town for the season. So the opportunity had never arisen. Darcy came out of his thoughts with a start as the music from the pianoforte came to its final chord and ceased. He gave his head a sharp shake. What was he thinking? It would be madness to spend more time with Elizabeth Bennet! An affection for her could develop into nothing worth pursuing, for he could not seriously consider offering for her. No, no—his duty to his family, his obligation to uphold the Darcy name, his position in society… coupled with the inferiority of her situation, particularly of her mother’s family, her lack of social connections—all these things forbade him to entertain a serious attachment to her. Jumping up from the chair with some agitation, Darcy strode over to the windows and gazed out at the view of the square outside. He felt restless and confused, and not even the lilting notes of the new sonata that Georgiana had begun to play soothed him. He turned round and walked to the other side of the room, then back again. What was vexing him so? Was it the thought that he could not pursue an acquaintance with Elizabeth Bennett… though his every sense longed for it?